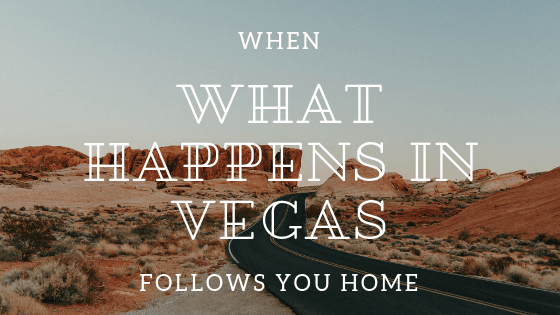 What Happens in Vegas doesn’t always stay in Vegas, especially if it’s a speeding ticket. Hoping that a driving infraction would go unnoticed by insurance and unaffected by your driving record or CSA score? Different states tend to handle these situations differently. Read on to get the low-down on state requirements and reporting on your ticket – keep your CSA clean and keep on trucking. Most states have interstate reciprocal agreements that require them to share information on convictions for moving violations. The most common is the Driver License Compact (DLC), signed by 45 states plus the District of Columbia. That leaves Georgia, Massachusetts, Michigan, Tennessee and Wisconsin – but if you get a ticket in one of those states it doesn’t necessarily mean that you get off scot-free. Even though these states aren’t required to report your infraction to DLC states, a survey of workers found in those states found that most of them do anyway. Luckily for you, a few DLC states, such as Colorado and Pennsylvania, do not record the violation if it is considered a minor offense, like a speeding ticket. Other states, like Maryland and Nevada, record the violation but do not assign points for out-of-state tickets. Florida and Texas place both the violation and points on your driving record for all out-of-state convictions – which will likely increase the likelihood of repercussions. Yikes. Another consideration for CDL Drivers would be when you lose your license in one DLC state, say for a DUI in Florida, your home state is encouraged to do the same, and can pull your license. What if you decide not to pay? States that are part of the Non-Resident Violator Compact and Driver License Agreement (virtually all of them) agree to suspend your driver’s license on the other state’s behalf. You can be certain of two things, a conviction can and almost certainly will, follow you home – even if it takes a few years for CSA to find out – they will, and you could pay. And secondly, to an insurance company, it doesn’t matter where you got a ticket. Risky driving is risky driving. No matter where you are when you get a ticket, drive protected with ORDP. We connect you with a traffic attorney in your area to quickly and easily handle your ticket resolution, in most instances not requiring a court appearance! From Maine to California, we’ve got you covered!